Commercial Life Guard Umbrellas are on sale as part of our commercial pool collection. Choose from acrylic or vinyl to provide shade for lifeguards. 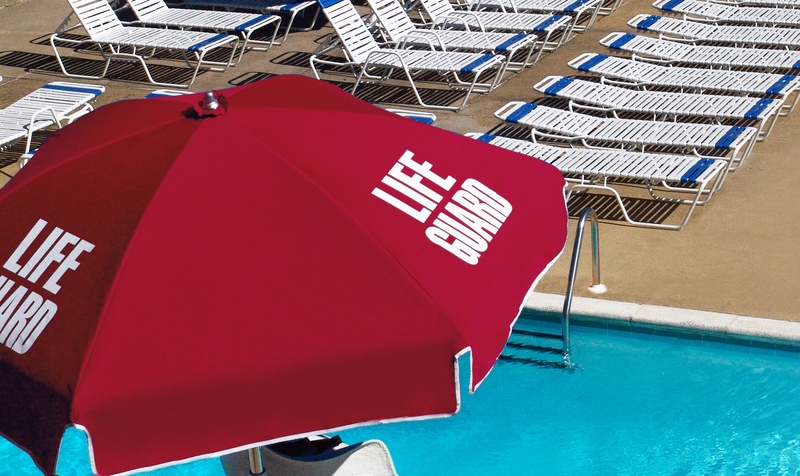 For safety and compliance, these umbrellas are available with "LIFE GUARD" printed on them. Available at our low price Guarantee.